Building muscle is the natural result of an adaptive response that ONLY takes place when your body is being SIGNALED to adapt. Without the proper muscular adaptation signals, your body will actually AVOID building muscle and losing weight. 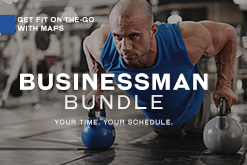 Each of our MAPS programs comes with a 30 day money back guarantee. Our first ever and foundational MAPS program. The best place to start if you are ready to get into weightlifting and see plateau-free results. 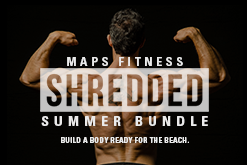 Complete phased workout program that can be performed ANYWHERE (no gym required & minimal equipment needed). Perfect for people always on the go. A performance-based, four phase program that focuses on improving the Four Pillars of Performance to build a well put-together, symmetrical, powerful and functional body. 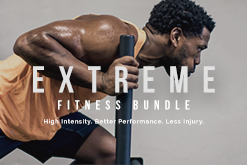 A supplement FREE way to noticeably amplify the benefits and results of your existing workouts through mobility training. It acts as your Pre/Intra/Post workout supplement without worthless powders or pills. Created in conjunction with movement specialist Dr. Justin Brink and is designed to help ANYONE self-assess their movement and imbalances and design a customized correctional plan to improve function and overcome pain. Complete full-body muscle building system designed to "sculpt" your body for maximum aesthetic appeal. A muscle building and body sculpting program designed for the experienced lifter, bodybuilder, physique competitor and bikini competitor. 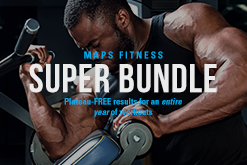 MAPS Strong is a program designed to increase total body strength by utilizing both conventional exercises and unconventional strongman movements. 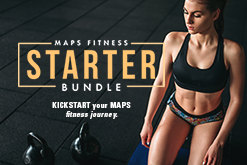 MAPS Starter was designed to increase strength, build muscle and improve overall health, stability and mobility, it comes with a full workout breakdown that tells you exactly what to do for your workouts throughout an entire 9 week period. Each program comes with a full 30 day NO QUESTIONS ASKED money back guarantee. Once you make a purchase, you are granted access to your own personal portal. Lifetime access. Hundreds of instructional videos demonstrating every exercise. Full instructions on how to follow your program and track your results. We have bundles for every type of person. 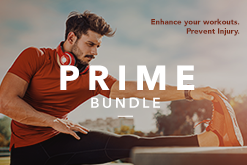 A bundle will save you up to 40% in the long run.